It was a full house at the Proact Stadium in Chesterfield this week, as Shorts, NatWest and Banner Jones Solicitors hosted a 'Question Time' style panel discussion on the topical subject of Brexit. After opening introductions from Howard Freeman (Shorts) and Steve Smith (NatWest), Senior Economist for RBS Strategy, Economics and Corporate Development team, Phillip Bartlett spoke first, presenting a candid overview of the current UK Economy, with thoughts on the possible impact of Brexit. Presenting ideas on how to prepare for the economy post-Brexit, he covered areas including growth trends, interest rates, productivity and employment. David Grey expertly lead a lively and fascinating debate with involvement from all panellists. Questions from the floor were non-stop with very little pause for breath and all four panellists contributed with significant amounts of detail and enthusiasm. The atmosphere in the room was very constructive and it was noted that "discussions were extremely informative with light humour and no political grandstanding." A straw poll which took place during the event showed that only 1 in 3 businesses had done any kind of preparation for Brexit, so a key message from the panel to all of the businesses in the room was to get prepared as much as possible. Feedback observed that the panel was well-balanced, with representation from parliament, large corporates, SME and Economists, who all gave their informed views, backed up by personal experiences. On closing, one delegate stood up to congratulate the Panel on providing the “Best Panel discussion I have ever witnessed”, and the general view amongst all attendees as they left the Proact Stadium was that it had been a very interesting and enjoyable event. Howard Freeman commented "Over recent years, Shorts have been working closely alongside NatWest and Banner Jones Solicitors to bring regular events, specifically focussing on topical issues affecting the region's manufacturing businesses and this year, Brexit was the logical topic to cover. Bringing everyone together in this 'Question Time' format worked really well. 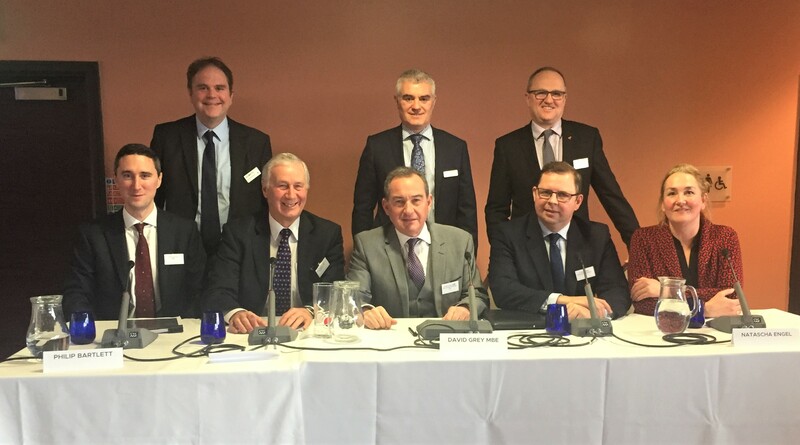 It was fantastic to see so many of the region's most prominent manufacturing businesses represented, and so many of these getting involved in what turned out to be a really enjoyable morning of sharing views and concerns." We can now only wait to see how the Brexit situation unfolds, and how the matters discussed play out over the coming weeks and months. Simply complete the form and one of our team of specialists will be in touch within one working day.